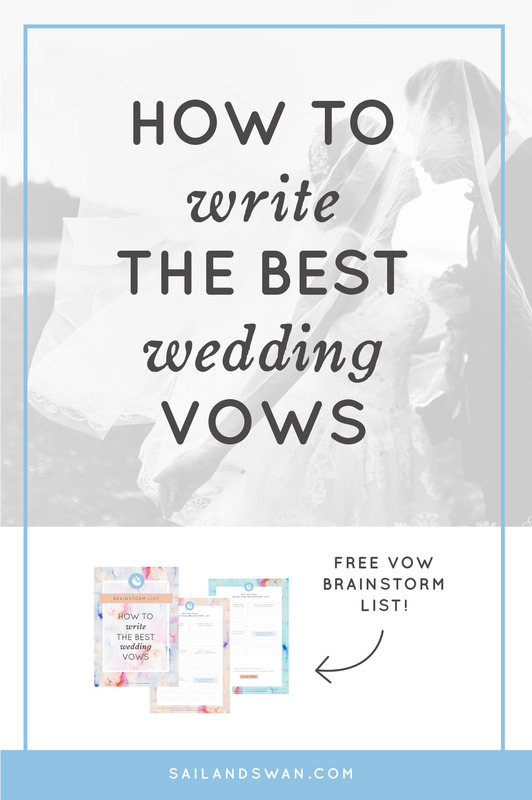 Today I am going to show you how to write the best wedding vows! Writing the vows for your wedding day can be trickier than it sounds. There’s so much you may want to include and emotion you want to express, but you also want it to sound flawless. 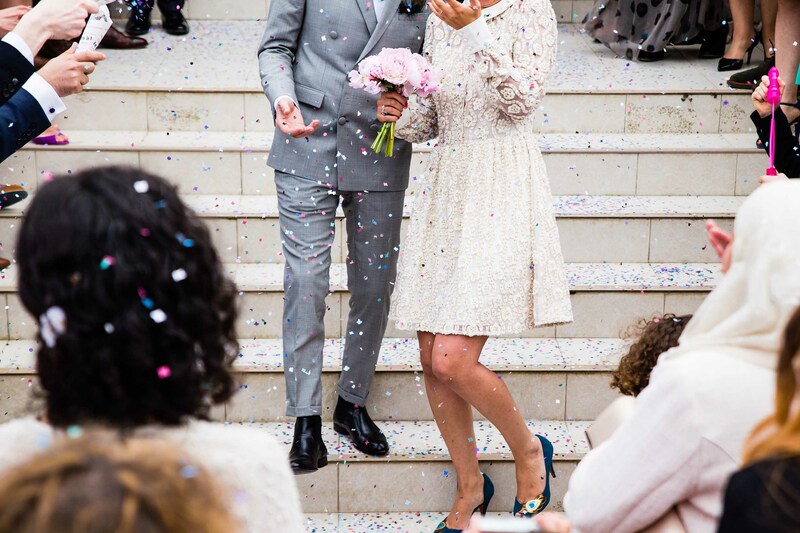 Knowing how to write amazing wedding vows will not only make your wedding ceremony more memorable, but they are something you can keep in the years to come. Your guests won’t have heard them ever before no matter how many weddings they have been to! You can make them funny, or really sweet – any kind of vibe that you like! 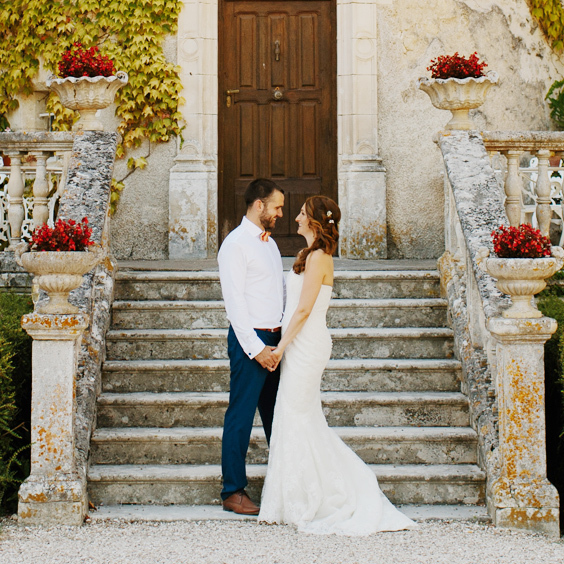 For these reasons, I truly believe that it’s worth writing your own wedding vows and that it will add a really unique, personalised and romantic touch to your wedding day. By the way, did you know that this blog comes with a Free Wedding Vow Brainstorm List? 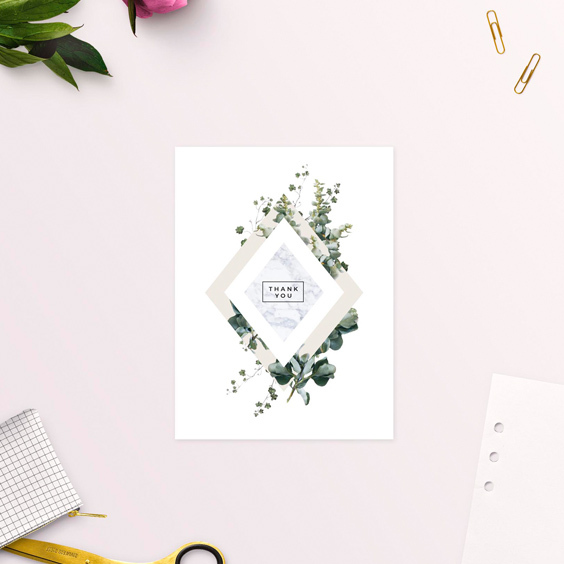 Simply click below to download and receive lots of other handy resources for your wedding. Before you start plan ahead and give yourself lots of time so that you’re not under pressure leading up to the big day. Think about the things you appreciate in your partner and what makes you unique as a couple. Write a list of these things for handy reference; these are the nuggets of gold you will want to include in your vows later when you start writing them. 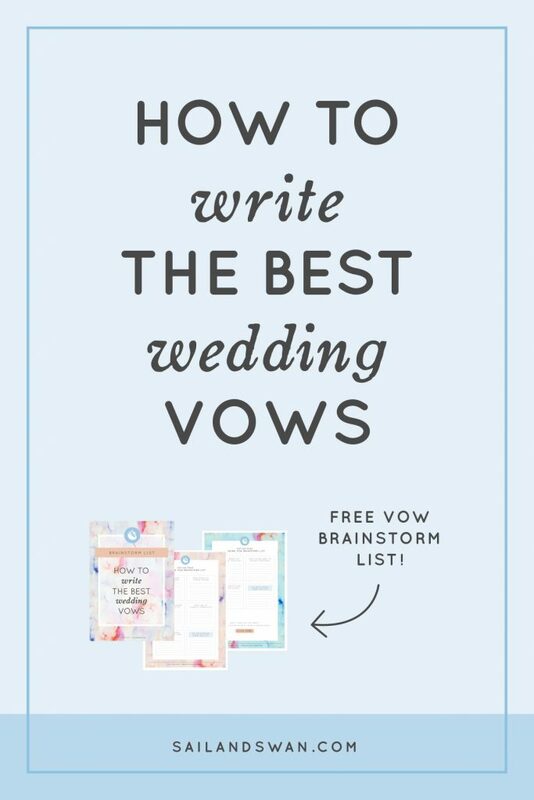 There are a few really easy steps you take to writing awesome vows. If you have thought it is too hard to pull off some of your own great vows then think again. Put these easy steps into practice and you will write some really unique vows for each other. 1) Before you start: Plan ahead and give yourself lots of time so that you’re not under extra pressure leading up to the wedding. 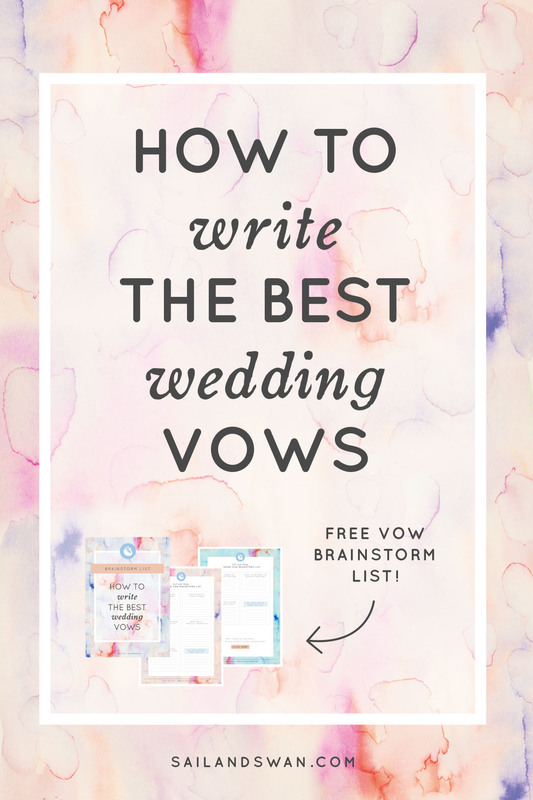 This will also give you more time to collect ideas and for writing – your best ideas won’t come all at once, giving you the best chance at writing the perfect vows! 2) Focus on individual characteristics: Think about the things you appreciate in your fiancé and what makes them unique. How would you sum up their personality and strengths? What is something funny about them? These are the nuggets of gold you will want to include in your vows. 3) Hone in on you as a couple: What makes you unique as a couple? How do you help each other and how have you benefited from being together? What do you want to achieve together as a married couple, and what do your dreams and plans look like? 4) Make a List: Write a list for everything from points 2 and 3 for handy reference – this will be of huge help to you when you start writing your vows. 5) Consistency: Before leaping in, make you sure you both have a chat about what kind of structure you want your vows to have, and how you can keep both versions consistent with each other. I would recommend writing your vows together, keeping your sentences and flow very similar. You can then make the actual details and descriptions in the sentences different. 1) Flesh it out: Now you can refer to your handy list from before, and simply flesh out each your favourite points into sentences. It’s simply about adding a bit substance to each of your ideas. It’s really that easy. Start with your partner and highlight what you love and appreciate about them. This is a great place to include an anecdote or story that brings this to life. And finally, you can end your vows with the future in mind. 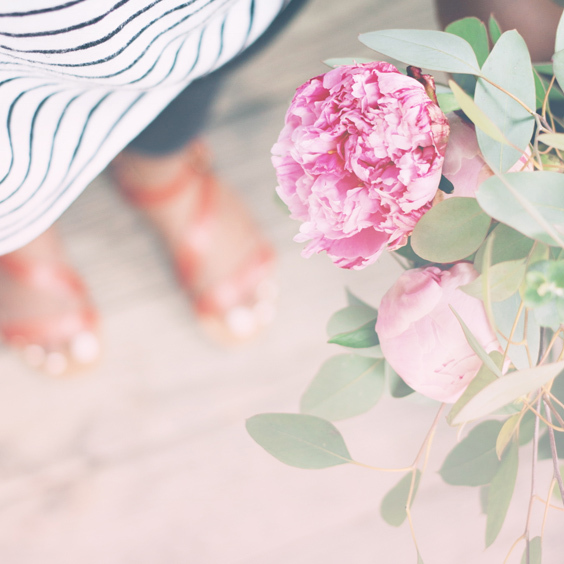 This is where your list will come in handy again – what do you want to achieve together as a married couple, and what do your dreams and plans look like? Literacy perfection isn’t the key here; simply being yourself is the most effective way to write your vows, and that’s what your guests will love about them. It’s really that easy and you will be surprised how much you have to say about your other half. I truly believe that all the points above are the key to knowing how to write the best wedding vows! “Today, we pledge to each other to continue to be loving friends and partners in marriage. support, comfort and strengthen each other through life’s joys and sorrows. We promise to share hopes, thoughts and dreams as we continue to build our lives together. May our lives continue to be ever intertwined, our love keeping us together. “NAME, I love you. You are my best friend. Today I commit myself to you and our marriage. when life seems easy and when it seems hard, when our love is simple, and when it is an effort. To cherish you, and to always hold you in highest regard. As your companion I will always be honest with you, kind, patient and forgiving. I promise to try to be on time, and not max out the credit card. 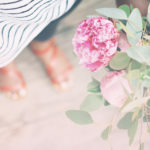 Alright my lovely Bride-to-Be friends, I hope you’ve enjoyed these wedding vow examples and that you feel inspired to come up with your own wedding vows! 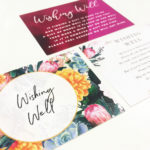 If you found this article helpful, then you will love this post on Tips for Wishing Well Wording. 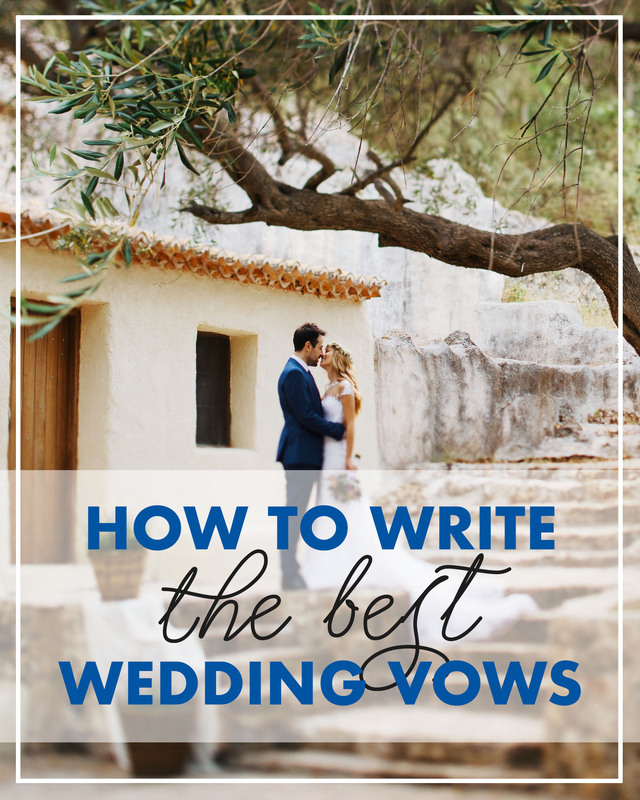 So in conclusion, I hope this post has shown you how to write the best wedding vows! Plan ahead, keep it simple and put these practical tips into practice. Got questions? Leave a comment! Let’s chat. 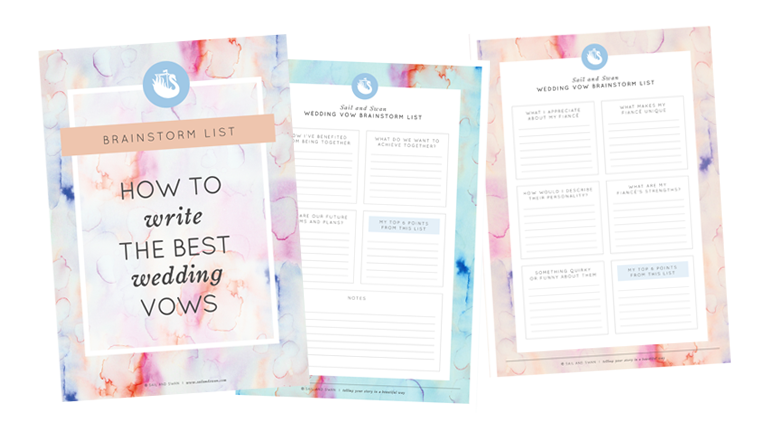 JOIN OUR NEWSLETTER FOR HANDY WEDDING TIPS, PRINTABLES + UPDATES, AND TO DOWNLOAD YOUR FREE WEDDING VOW GUIDE!